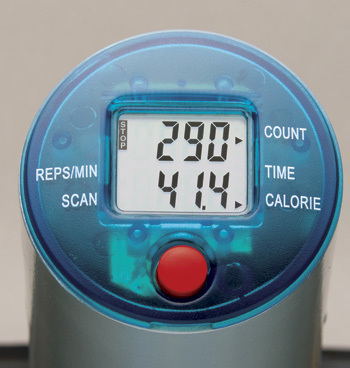 Improve fitness levels, lose weight and improve circulation with the Mini Stepper®. Just 15 minutes a day can help improve blood sugar levels and blood pressure. Set the tension level that is right for you and track your workout with the pedometer and digital monitor that displays time, total steps, steps per minute and calories burned. 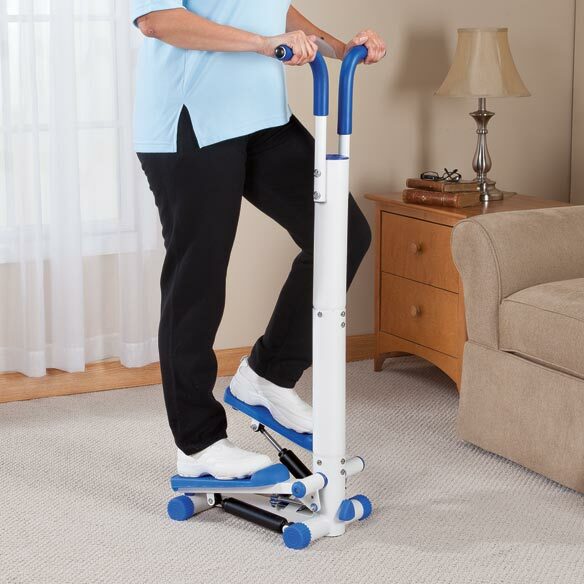 The mini stair stepper is ideal for small spaces. Supports up to 220 lbs. Assembles easily. 16"L x 12"W x 44 1/2"H. No express shipping. I use the product for building up my endurance and for fitness and weight loss. I really love the mini stepper it is great. I would buy this producdt again. IT is easy to use and can fit in a small space. I am more likely to use this then I would a tread mill or a bicycle. Use everyday for 30 minutes, stepper began to squeak then knob that adjusts tension wore out, broke through the metal and the feet no longer separate enough to use. Also began leaking black dust onto my carpet. What's up with this? Perfection. Exactly what I wanted. So easy to assemble and portable. Great for small areas. Tension easily changed for the use of each member of the family. Love it.....I have a hard time breathing in very cold or humid weather. I can use this stepper any where in the house or back porch I want. I have trouble lifting my right foot. This should be very helpful. looking for good exerciser. Not able to do a lot of walking. I chose this just to get some exercise in and stay healthy. I want to lose weight and I can't always make it to the gym so I thought this would be small and convenient for my house. 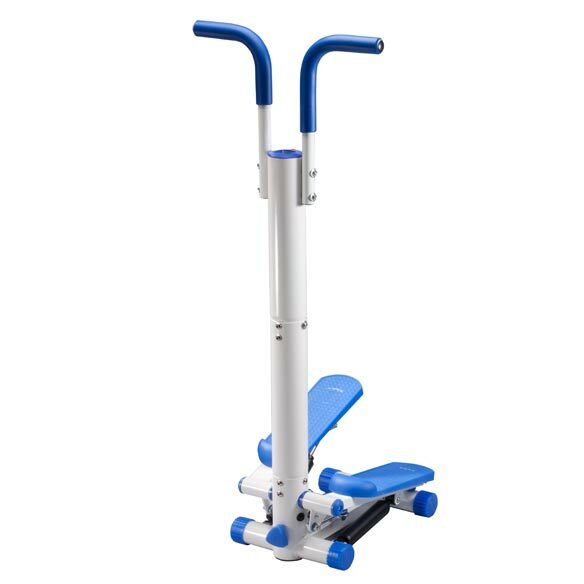 After reading about some of the other exercise equipment, i decided i really like this one b/c not only can i use it at home, but it also is the perfect size, & it will keep track of my steps!! to help me exercise and it look easy to carry from room to room. I wanted to have a simple exercise machine that I can use at home. I can adjust the difficulty. To help my 89 yr. old Mother try to get some exercise. This item is exactly the size I need for my small house. I need to walk more but I can't stand the sun or very cold. I can do this at home while watching TV. It looks like something I can actually use. 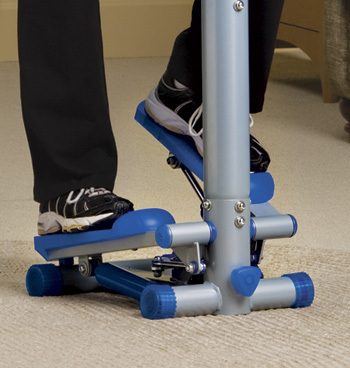 Looks like a good exercise machine for a small space. Sometimes the weather keeps me from walking. Outside. I can still exercise while watching tv. I sit too much, so I needed an excise machine that would keep me vertical. need small, simple way to exercise in limited space. It is compact and I need exercise. I can use it indoors and it doesn't take up much room. To exercise w/o hurting joints. I don't have space in the room I want it in and I already have a small bike and nothing bigger will fit. Are you happy with the mini stepper? how does this work- is there a video? BEST ANSWER: place both feet on the steps. Then force the raised step down with your leg muscles. You can adjust the tension so it is comfortable for you. As you build strength, then increase the tension. What if I weigh 240 lbs. is the 220 limit the absolute? BEST ANSWER: Thank you for your question. Yes the 220 pounds in the maximum that it will support. We hope this information will be of help to you. why would steppe not come back up when you step on it? BEST ANSWER: Because it is hydraulic and the other step must be pushed down in order for the first step to be returned up.